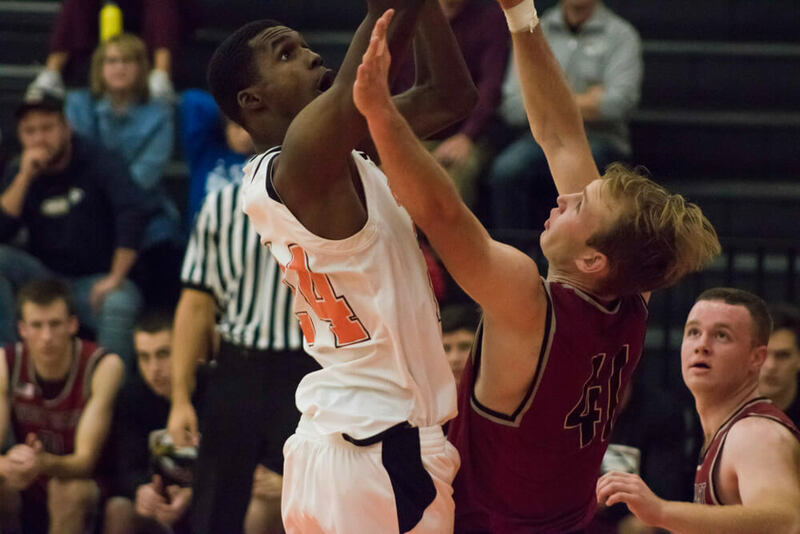 The Occidental men’s basketball team is halfway through a victorious season. 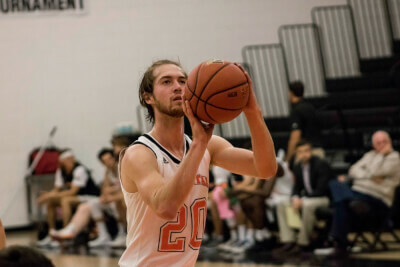 With seven non-conference wins under their belts so far, the Tigers are working hard to secure a Southern California Intercollegiate Athletic Conference (SCIAC) championship win, according to Kyle Dosa (first year) and Brandon Ruotolo (senior). Their season opened with a 106–55 home win against Bethesda University Nov. 4. Since then, the team has won games against Westmont College, West Coast Baptist College, Rhodes College and California Miramar University. During their 2017–2018 season, the team played a total of 26 games and saw 19 victories. After losing only one senior last spring and welcoming six first years in the fall, the team has focused on cohesion and improving their craft. Everybody has learned to be less selfish players, and the team has focused on improving their collaboration, according to Ruotolo. Associate head basketball coach Michael Wells considers the team’s 89–79 exhibition win against Westmont Nov. 10, a National Association of Intercollegiate Athletics team, their best game so far this season. The Tigers lost to Westmont last season 69–62. With Westmont being a skilled and well-coached team offering scholarships that SCIAC schools typically don’t, it was a solid win for the Tigers, according to Wells. The team played well for this time of the season with shots over 50 percent from the three-point line and the field, but are continuing to focus on the rest of their season, according to Wells. One of only three seniors, Ruotolo thought the 68–59 victory at Caltech was their best game so far this season and credits much of their successes to the close-knit environment of the team. The Tigers usually play a non-conference Caltech game early on in the season, and to win against them on the road was exciting, according to Ruotolo. One of the newest members of the team Kyle Dosa (first year) echoed Ruotolo’s thoughts on the close team environment. The juniors and seniors did a really good job at welcoming the first years, not only to the team and collegiate athletics, but to college in general, and made their transition smooth and easy, according to Dosa. He also appreciates that the coaches don’t just care about how they play on the court, but also pay attention to the athletes’ health and school work. Led by coaches Brian Newhall ‘83, Michael Wells and Davey McEliece, the team is keeping their eyes on the rest of the season where they will be playing the majority of their SCIAC games, according to Oxy Athletics. The Tigers are scheduled to play their first SCIAC game at the University of La Verne Dec. 5.